I’m having an issue with what’s called “Jesus Christ” lizards. They are constantly on the pool deck and leaving droppings on the lawn furniture. Any suggestions? 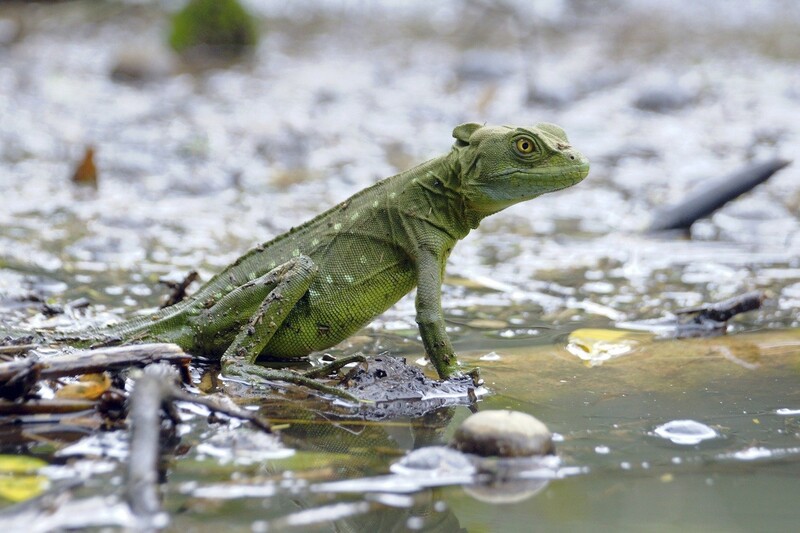 The “Jesus Christ” lizard got its name from being able to “walk on water”. Its actually more of a “run” but they can move across the waters surface without sinking and can do so efficiently. These are actually basilisk lizards and they can be found in several states. Commonly green or brown, they can be a nuisance. They’re known to be messy and in general fearless of people. 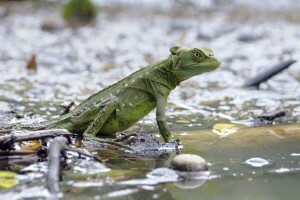 Basilisks love hanging around Jacuzzi’s, pools or most any pond or lake. Keep them away by sprinkling out PEST RID GRANULES and spraying with PEST RID SPRAY. First apply the granules at the rate of 1 lb per 250 sq/ft to mulch, flower beds and turf or dirt around the pool. Be sure to use them at your property border to keep them from entering the yard. Next, spray over the top of the granule with the Pest Rid Spray. 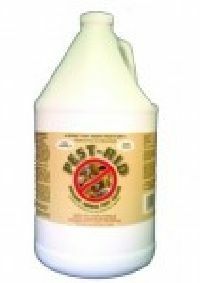 Use 1 quart per 125 sq/ft of area needing protection; gallons will cover up to 500 sq/ft. You can also spray decking, furniture legs to keep them off chairs and tables and basically anywhere above the ground where you want them to stay away. Renew the liquid once a month to make sure they don’t return.